What If Your Pastor Couldn’t Go To Bible School? Your pastor probably studied four years-or more!-to become a pastor. Likely he has dozens-maybe hundreds!-of books on his shelves to help him prepare each week’s message for your church and deal with the complex issues faced by members of his flock. For those pastoring our brothers and sisters in restricted and hostile nations, Bible School or seminary is often an impossible dream. For many of them owning a Bible is an amazing miracle; if they have one it is often the only book they own. One of the most pressing needs of the persecuted church-across all the nations where VOM works-is the need for developing and training church leaders. Over the past 45 years VOM has consistently helped meet this need with books, training seminars, videos, broadcasts and other resources. This month we invite you to make a gift to fund this important work, training up shepherds for the growing churches of hostile and restricted nations. 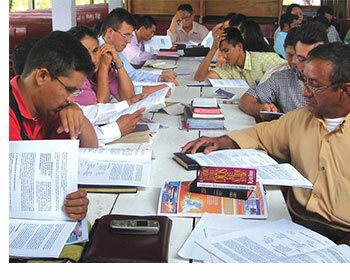 Your gift will help VOM provide books and other training materials to pastors in restricted and hostile nations. 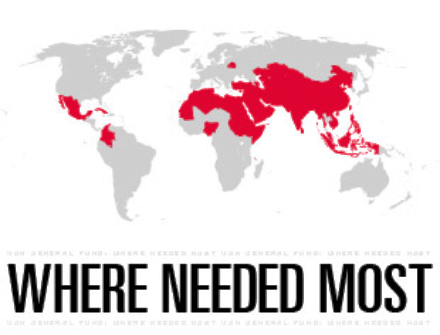 CLICK HERE TO HELP TRAIN PERSECUTED CHURCH LEADERS. clicking here or calling our order line at 800-747-0085.
via Key Events in Church History, Early Christianity Timeline. Tagged Christian life, ministries we support., Safe Harbor Ministries, women's ministry, words for daily living. As she has for millions around the globe, Joni Eareckson Tada has inspired and encouraged me, often in ways that can’t be explained, only felt. I love to share her story, and in fact, I just gave a copy of the audio book of her autobiography, the 25th Anniversary Edition (narrated by the author, of course), to a dear sister who is considering working with special needs children. A young lady who just happens to also be an artist. I have been blessed to have been given the opportunity to work with special-needs children, including the severely handicapped population. I just can’t put into words how special this ministry is, and the impact which Joni and Friends is having spreading the Gospel of Jesus Christ to a broken, hurting world. 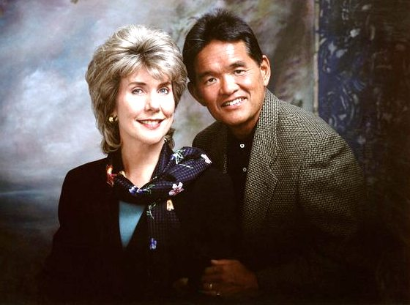 On a personal note, as I writer and speaker, I admire, respect, and am encouraged by the work of Joni Eareckson Tada, more than any person I have ever been blessed to hear or read. What an honor to be allowed the privilege to ask you to join Joni and Ken’s ministry, and help in any way you can. Joni and Friends was established in 1979 by Joni Eareckson Tada, who at 17 was injured in a diving accident, leaving her a quadriplegic. Since its inception, Joni and Friends has been dedicated to extending the love and message of Christ to people who are affected by disability whether it is the disabled person, a family member, or friend. Our objective is to meet the physical, emotional, and spiritual needs of this group of people in practical ways. 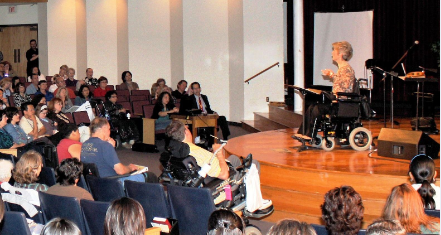 Joni and Friends is committed to recruiting, training, and motivating new generations of people with disabilities to become leaders in their churches and communities. Today, the Joni and Friends International Disability Center serves as the administrative hub for an array of programs which provide outreach to thousands of families affected by disability around the globe. 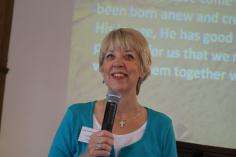 These include two radio programs, an award winning television series, the Wheels for the World international wheelchair distribution ministry, Family Retreats which provide respite for those with disabilities and their families, Field Services to provide church training along with educational and inspirational resources at a local level, and the Christian Institute on Disability to establish a firm biblical worldview on disability-related issue. 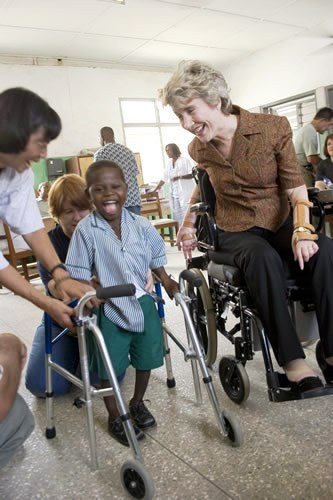 From local neighborhoods to the far reaches of the world, Joni and Friends is striving to demonstrate to people affected by disability, in tangible ways, that God has not abandoned them – He is with them – providing love, hope, and eternal salvation. Joni’s Personal Welcome To Joni and Friends! Kids Corner Video Welcome-OK This Is Awesome And Just For The Kids! 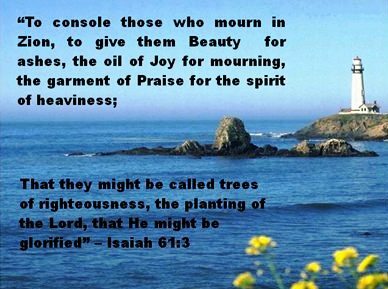 Tagged Joni and Friends, Joni Eareckson Tada, ministries we support., words for daily living.